Archives of Eaton Bray News for December 2014. This article was published in December 2014. Please see Latest News for more recent information. Central Bedfordshire Council's Trading Standards team is warning residents to be extra vigilant when answering the telephone and finding the caller is offering a free survey for the installation of solar panels. Trading Standards have received a spate of recent reports from residents who have received these calls, whereby the caller claims to be calling from the "Bedfordshire (or Bedford) Advice Centre" and attempts to entice you into having a survey carried out by one of their agents. The callers appear to be focusing on Leighton Buzzard and the surrounding area and in some cases have informed residents during the call that an agent is currently on their way to the resident's home. When challenged by one resident who wished to make a complaint, the caller gave another resident's telephone number, who unsurprisingly knew nothing about the call. Officers have been unable to identify or locate any organisation called the "Bedfordshire (or Bedford) Advice Centre" and therefore believe these calls have all the hallmarks of a scam. A Council spokesperson said "Although the offer may appear enticing, by all appearances, these calls appear to be an elaborate scam trying to obtain either your financial or personal details." "Callers will try to offer you an opportunity that shouldn't be missed, and they will try and intimidate you into making a hasty decision, for instance, the offer is only available for a limited time or their agents are only in the area for a few days. If you are interested in having solar panels fitted to your home, our advice would be to shop around by contacting legitimate local businesses and never take what an unsolicited tele-sales caller tells you for granted." Never express an interest, by asking the caller to call back later, as you may be identified as a possible target for a future scam attempt. If you receive one of these calls or think you may have been targeted by any other type of scam, please report it to Trading Standards on 03454 040506. Thames Valley Police have arrested 56 people on suspicion of drink-driving after seven (1-7 Dec) days of the Christmas anti-drink drug drive campaign. The 'Is it worth the risk?' campaign was launched on Monday 1 December and is aimed at targeting drink and drug drivers over the festive period. A total of 2,779 people have so far been breath tested. Of those arrested, 46 were men (a 16 per cent decrease) and 10 were female (33 per cent decrease). The oldest was a 63-year-old man arrested in Slough on 6 December and the youngest were two 19-year-old men arrested in Slough on 3 December and Aylesbury on 6 December for drug-driving. The average age of those arrested was 35. The highest reading so far was taken from a driver in Berkshire on 2 December, who was five times over the legal limit according to a breath test at the scene. In total, 31 of the 56 arrested have been charged, 17 have been released on bail pending further enquiries and eight people have been released with no further action. This year's arrests show a 20 per cent decrease on the 70 arrests made during the same period in 2013. The campaign, which runs until 1 January, will see police targeting individuals they suspect of driving under the influence of drink or drugs, both on the way home from nights out and the morning after a heavy night. Of the arrests, 22 have been made in Berkshire, 20 in Buckinghamshire and 14 in Oxfordshire. Chief Inspector for Hampshire Constabulary and Thames Valley Roads Policing Unit, Henry Parsons said: "People often ask us what's the safe limit to drink and drive. The answer is that there isn't one, please don't mix the two, the consequences simply aren't worth the risk, real people die and get injured." 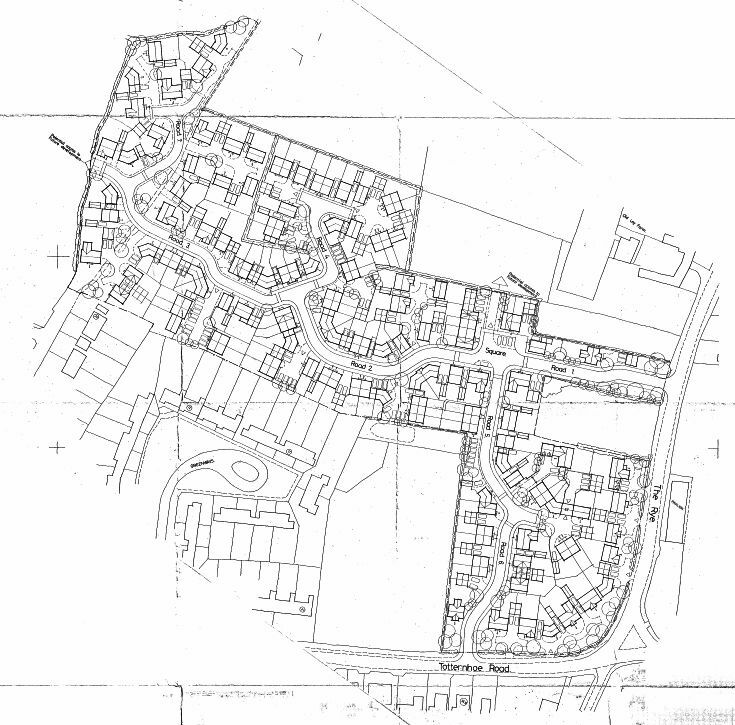 Details: Outline planning permission is sought for residential development of up to 150 dwellings and associated works on land off Totternhoe Road, Eaton Bray. Please see Details of Planning Application - CB/14/04055/OUT for further information about the Consultation and how to respond. Please ensure that all responses are submitted by 7th January 2015. Today is a normal day across the electricity networks with no widespread power cuts due to the weather. However, UK Power Networks is working closely with the Met Office to track the strong winds that are forecast to hit the UK tomorrow, Thursday. These strong winds are due to affect the Eastern and Southern areas of our network overnight Thursday 11th December and early Friday 12th December. If the storm materialises and affects power supplies, our paramount focus will be on restoring electricity to customers as quickly and safely as possible. We are currently monitoring the weather closely and are in regular contact with the Met Office as the forecast develops. Click here for the latest forecast from the Met Office. Our electricity network is built to be resilient but extreme weather can affect overhead power lines. Our emergency plans have been put in to place, with hundreds of extra engineers and other staff on duty to deal with situations as and when they arise. As always our priorities in these situations are public safety and restoring supplies to customers as quickly and safely as possible. Calling 0800 31 63 105 or 0333 32 32 105 if calling from a mobile. See the website for some useful videos offering you advice during a power cut. This, the 24th annual Puzzle that Gordon Gray has set, has a theme designed to help completion and will appeal to people who enjoy doing Crossword puzzles, such as in the Daily Telegraph (though it is not a Crossword puzzle). Puzzlers have plenty of time to find the answers and Puzzles should be returned, with donation, by 25 January 2015. 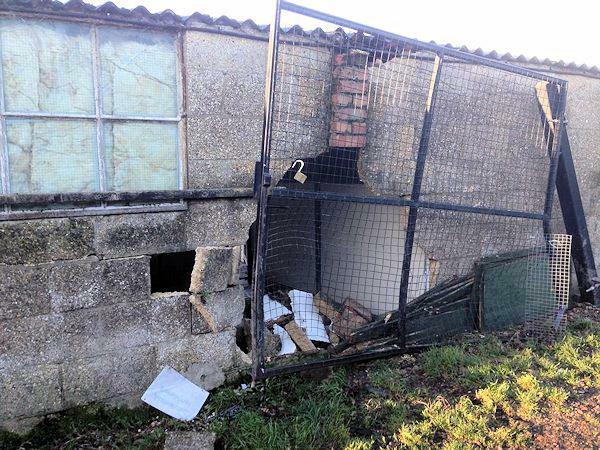 On Saturday (6th December), a car accidentally crashed into Appledown Rescue and Rehoming Kennels in Eaton Bray. The car drove through the big security gates and into the back of the stable block when the accelerator was hit instead of the brakes and unfortunately Appledown also lost one of their own dogs (an ex rescue) in the accident. For more about Appledown Rescue and Rehoming Kennels, please see their Facebook group. Make a donation at www.givey.com/AppledownRescue. 100% of donations made through this site go to the kennels. Remember Appledown Rescue in your will. Sponsor a kennel for a minimum monthly donation of £10 payable through standing order. Throw your green token into the Appledown Rescue Community Matters box at Waitrose (Leighton Buzzard) throughout January. And look out for the Appledown Rescue Christmas Appeal coming soon. Members of the public will be able to accompany officers on patrol across Bedfordshire in a 'Ride Along' scheme launched this month. From November 30, anyone aged 18 and above will be able to apply to accompany a frontline officer to get an insight into policing. The 'Ride-Along' sessions will usually last for a minimum of four hours during which activities such as arrests, dealing with victims and offenders, statement taking, questioning and stop and searches may be observed. Observers will be able to request a 'Ride Along' in their local area, which will allow them get to know their local policing teams better. Chief Constable Colette Paul said: "I am delighted we will be offering these 'Ride Alongs' which will open up a window on the world of policing. "The scheme is not just about helping the public better understand the work that we do. It is an opportunity for us to learn from them too. We welcome any feedback from ride-along observers and will use this to help inform our policing approach moving forward." The observer will wear a high visibility vest while out on patrol and will have to attend a safety briefing prior to going out. If a situation is considered unsafe, the observer will be required to remain in the police vehicle. If, at any time, the observer compromises their own safety or that of the officer, the ride along will be terminated with immediate effect. You are viewing the December 2014 archive.